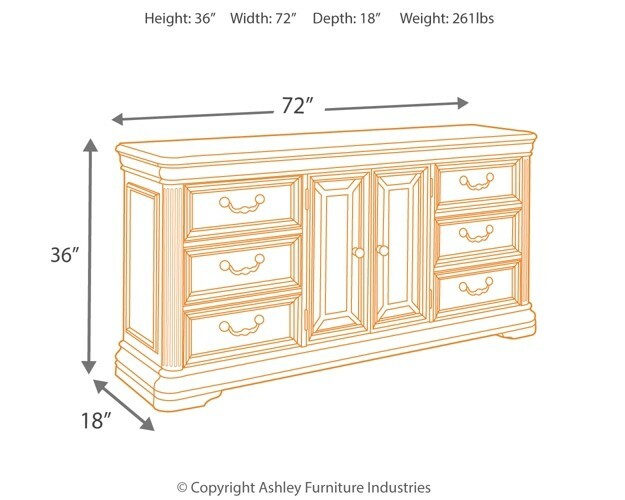 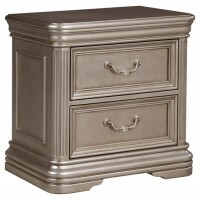 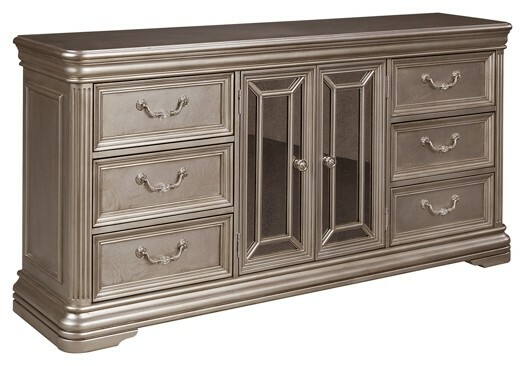 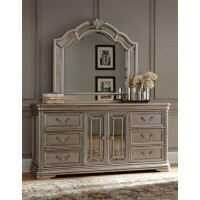 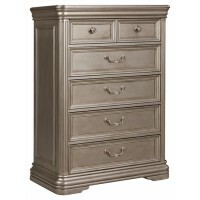 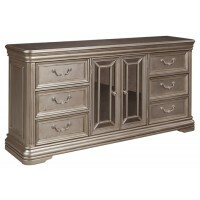 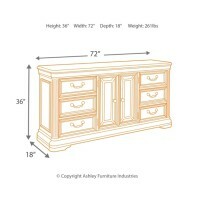 Grace your room with the opulence of this dresser. 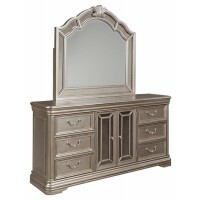 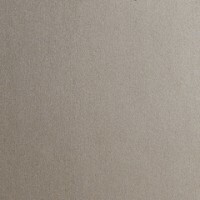 Carved mouldings, curving around the top and bottom, along with fluted pilasters and a traditional silvertone finish, create elegance. 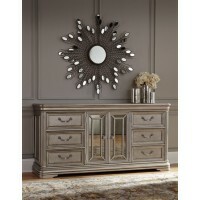 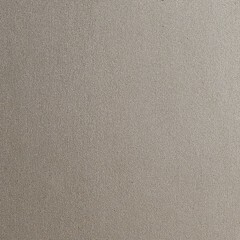 Drawers have ornate handles with sparkling faux inset crystals. 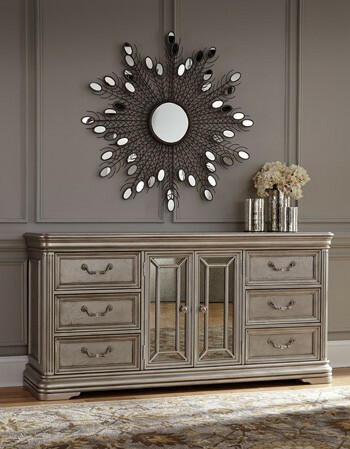 Framed mirrored elements on the cabinet doors offer amazing dimension—a look to admire for years to come.